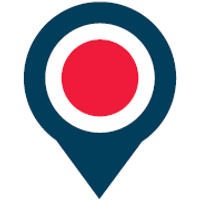 OnTheMarket plc (LON: OTMP), the agent-backed company which operates the OnTheMarket.com property portal, has today announced that, as of 31 January 2019, it has listing agreements with UK estate and letting agents with more than 12,500 branches. This is an increase of more than 7,000 branches in just under a year since Admission to AIM in February 2018. “As we approach the one year mark since OnTheMarket was admitted to AIM, we are very pleased to have reached yet another significant milestone of 12,500 contracted agent offices. This represents growth of 7,000 offices in less than a year. “We are currently running advertising campaigns across national television and radio which complement our sustained heavy investment in digital marketing. Alongside the rapid growth in agent branches listing, this sustained marketing activity is helping drive our visitor traffic and the combined effect is greatly increased lead generation for our customers. In January the Court of Appeal issued judgment in favour of OnTheMarket’s wholly-owned subsidiary Agents’ Mutual Ltd with regard to all the competition issues in its proceedings against Gascoigne Halman. The Court unanimously and comprehensively dismissed the appeal by Gascoigne Halman of the Competition Appeal Tribunal’s judgment handed down in July 2017. The residual non-competition issues relating to OnTheMarket’s claim remain to be resolved.